MacGregor, part of Cargotec, has secured a new contract from Chinese shipbuilder, Fujian Mawei Shipbuilding Ltd, for two 100-tonne active heave-compensated subsea MacGregor cranes. The cranes will be fitted to two 86-metre multi-purpose platform supply vessels (PSVs) under construction at the yard. Delivery of the cranes is scheduled for the end of September and October 2015. "A key quality of PSVs is that they are able to perform a wide variety of tasks effectively in demanding offshore environments. 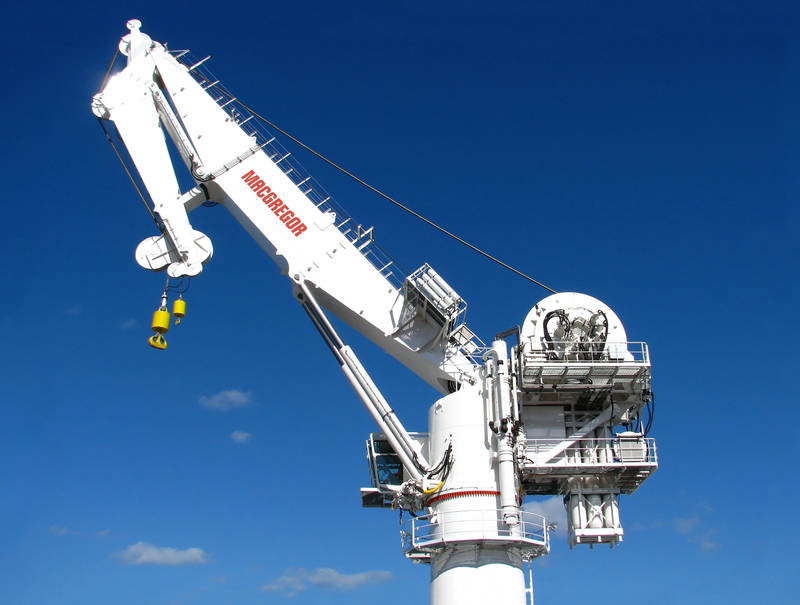 The MacGregor cranes will ensure that flexibility," says Tom Svennevig, Vice President, Offshore Load Handling. Fujian Mawei Shipbuilding Ltd, one of Fujian Shipbuilding Industry Group Corporation's three shipyards, specialises in offshore support vessels. This order builds on a contract placed by the yard in 2013 for eight cranes for installation on a new series of four compact semi-submersible (CSS) offshore accommodation vessels for Marine Assets Corporation (MAC). The crane deliveries for this order are scheduled to begin in August 2014 and finish by the end of February 2015.